A VPN’s basic concept is to provide anonymity and data security to the users but the fastest free VPN is the thing what makes an internet user excited about. Most of the individuals just want to bypass website restrictions and to evade chances of being tracked or caught by ISPs, Government agencies, and other third parties. The ones, who are willing to get a promising and fully protected VPN service, usually opt a paid VPN service but they also keep the efficient speed at their most preferred priorities. This is because every activity you carry out while being online could be extremely annoying if you are facing speed throttles. However, these speed issues could also risk your privacy through data leakage when VPN connection is interrupted. Internet users nowadays are really frustrated due to immensely increased content access blockades, no matter in which country you are living. This is why most of them don’t give importance to the privacy lacks a free VPN contains. Many people especially those who are new to the VPN concept, think that they should first try a free service as they have concerns regarding their money loss. Also, the features such as content unblocking, IP obscuring and steaming without investment is a great attraction for many. Streamers usually don’t care for privacy, their real need is anonymity and speed. VPNs usually slow down the speed and the problem gets more intense while using free VPN services; however, the heavy streaming needs extra speed capability to work smooth. That’s why it is really hard to find a free VPN with appropriate speed performance. On the other hand, a popular internet usage is torrenting which has privacy and anonymity need. With torrenting, there are broader risks of getting copyright notices. Therefore, people use VPN to obscure identity while sharing and downloading torrenting files. But unfortunately, the VPN connection makes torrenting slow as it is a heavy data processing procedure. If we talk about the free VPNs, it is almost impossible to find a free VPN that is completely efficient with torrenting. Is a Free VPN Service Costless In Real or Just Seems To Be? People usually think that the free VPN extension they are using is priceless and the features they provide are without any intentions behind it. However, they charge you through alternative methods when not gaining profit in terms of money. Comment from discussion Is Hola VPN extension worth downloading?. Unfortunately, almost all the free VPN extensions available online contain some security lacks which a user experiences immediately after connection or sometime later. Therefore, most people have to suffer efficiency lacks that results in frustration. However, we have listed some of the most addressed complaints from the Free VPN users. Vague policy: Many free VPN services keep an unclear policy regarding the customer data or online browsing activities. But, actually, they are collecting data or tracking users without their knowledge. Data limits: When you connect to a free VPN they mostly restrict you at a certain data limit when you reach it. Speed lags: A free VPN mostly reduces the system’s internet speed as compared to the original one. Limited Server Locations: You must have seen the premium service offers by almost every free VPN extension. So, they keep very limited and fewer amounts of servers for the free service users. However, from all these security lacks and inefficiencies, most people are just concerned about the speed related issues. But why is fastest free VPN the biggest concerned? This is because when a VPN has extremely slow and sluggish speed, various security issues and browsing difficulties are faced by the users. Risk of data loss increases when the connection is disabled due to speed lags and system hanging. When VPN stops working the user data is exposed to an outsider until the VPN regains its connection. Sluggish downloading could be a great hassle with slow VPN services especially when dealing with heavy stuff. Streaming frustrations are the most annoying issue when you haven’t own a fast VPN service. It is the most faced problem as users are always browsing content and streaming stuff. Long loading videos and the stucking game is an annoying situation for the users. A VPN must be selected with care and after reviewing their performance. Reading user experiences or detailed articles could be helpful in this regard. Therefore, we have also tested some of the free VPN services among which the fastest free VPN providers are just a few. We have tested some of the popular VPN extensions to extract the ones which are comparably the fastest free VPN services. An internet user could follow this easy testing methodology on their own as well. First, you should test your basic internet speed (the speed provided by your ISP) through the speed testing tools such as testmy.net or speedtest.net. However, to test a specific VPN, you must enable the connection on your device and then test your speed. If the obtained result is same or nearly equal to your basic internet speed than your VPN service is not slowing down the internet speed. Therefore, all these fastest VPN services we are discussing here are the ones that have shown equal or almost same speed after connection. Tunnelbear VPN with all the fantastic features also keeps the browsing speed to an adequate level without slowing down your basic ISP speed. 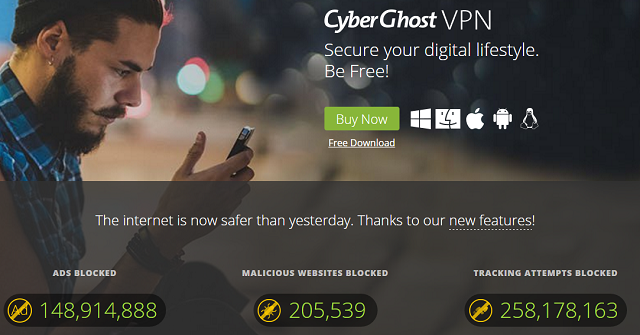 This is why we have considered it as our top priority for fastest free VPN. They claim to have a zero logging policy that is a great thing if it comes with a free VPN. This is because most free VPNs are involved in user data leak without them being informed. TunnelBear provides access to all the severs locations also to an individual who is using its free version. Therefore, it is possible to unblock most of the content without the hassles of speed lags. CyberGhost VPN has more than 850 servers in almost 30 countries including US, UK, Germany, France, Australia, Canada, Japan, Singapore, and Mexico. This feature caters to boost it up among the fastest free VPN services with vast unblocking options. You could easily get it as a free VPN extension for your device through downloading it from Google play store or directly from the website. CyberGhost provides you with 256-bit AES encryption that is same as it gives to the premium users. However, unlike most free VPN services, it has an unlimited bandwidth which means that you could stream online content without speed frustrations and usage blockades. But, the free version could contain intrusive ads that may create annoyance while online browsing. Windscribe VPN is also a top performing service for our speed tests and for that reason we have considered it among the fastest free VPN services. You could enjoy fast streaming and browsing with an adequate data limit of 10 GB. This data could increase to 15 GB with a tweet of yours. 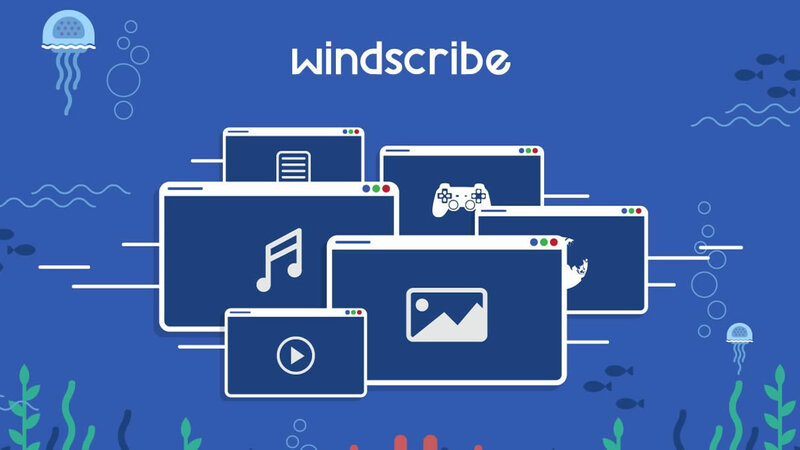 You could download Windscribe VPN to almost all of the devices with various platforms including Windows, Mac, iOS, Blackberry, Chrome, Firefox, and Opera. However, a pro version is required for Linux and Android. SurfEasy VPN has many features along with a service that has performed well in our speed testing. Therefore, we have rounded up this VPN in the list of fastest free VPN providers. It provides the users with 500 MB of data transfer along with an opportunity to increase this limit by recommending SurfEasy VPN to your friends and family. It has an easily connecting VPN service, as well as the apps, are also easy to use. An adequate amount of server with SurfEasy free VPN enhances the chances of unblocking and provides you with more streaming and browsing content. 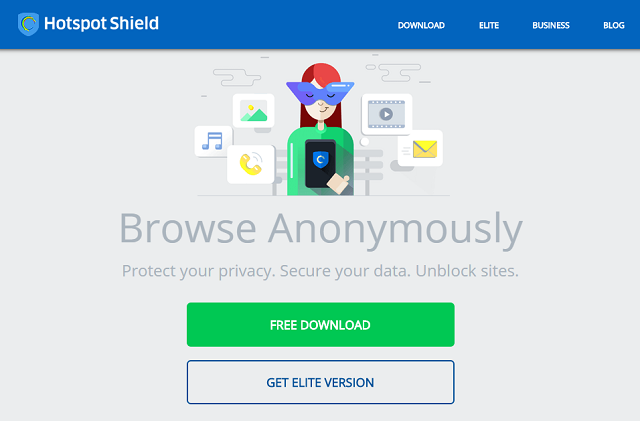 HotSpot Shield VPN is also among the recommendations for fastest free VPN services that provide the users with a decent browsing speed along some appreciable features. With this VPN you just require a single click to enable and disable the connection. However, the hassles of bandwidth limitations vanish when you are using Hotspot shield. So, the unblocking experience could become way better with fast speed and unlimited bandwidth. But, while using this free VPN service you could face intrusive ads. Also, its location in the US is a bit concerning for privacy advocates. Free VPN services usually gain a rapid popularity due to their costless services. However, most people are unaware of the fact that the users opting these providers address many issues just after few days of consideration. Practically this should be a common question that how these services gain profit if they don’t charge money? Therefore, you must remember that a free VPN could not cater you with all the advanced features along with efficient privacy. To gain such privacy, adequate speed, efficient features and a whole package you must select a reputable and complete VPN service that is worth investing. However, VPNs such as NordVPN and PureVPN are available at amazingly low prices with almost $3 per month that is affordable for every person. Everything You Need To Know About Passwordless Logins! What Is Virtual Firewall And How It Help Us? How Healthcare Organizations Can Solve Cybersecurity Threats? © 2019 Beencrypted - All Right Reserved.